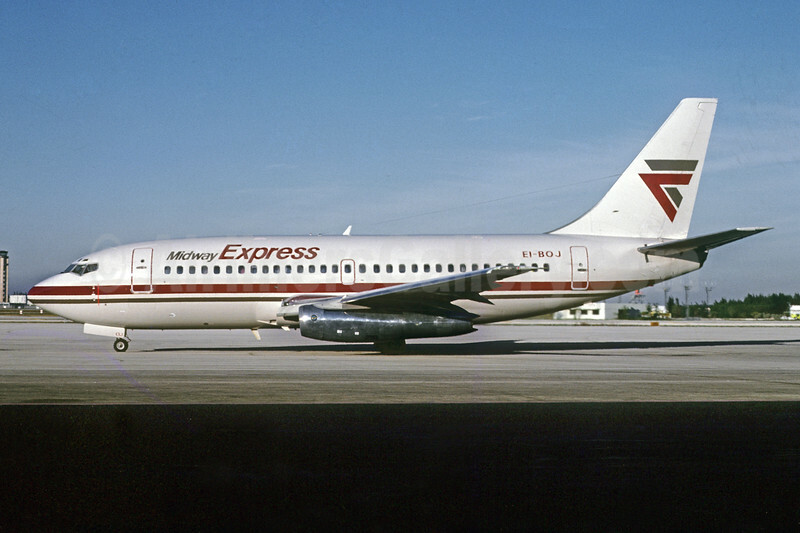 (formerly Air Florida) (QH/FLA) (Miami and Chicago-Midway) 1984 - 1985 (merged into Midway Airlines 1st). Photos. Framable Color Prints and Posters. Digital Sharp Images. Aviation Gifts. Slide Shows. Midway Express Boeing 737-2L9 EI-BOJ (msn 22071) MIA (Bruce Drum). Image: 103753.